Proudly made in America out of maple wood solids and okoume veneers. 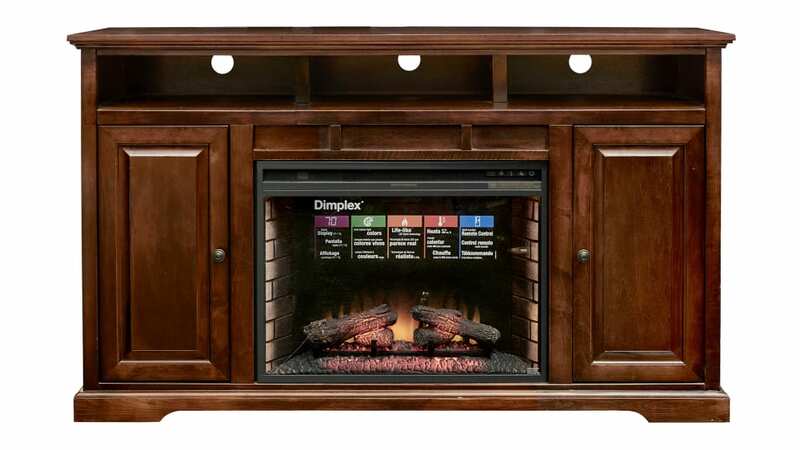 The fireplace is 28 inches wide and is thermostat-controlled through a remote with five setting for flame brightness. 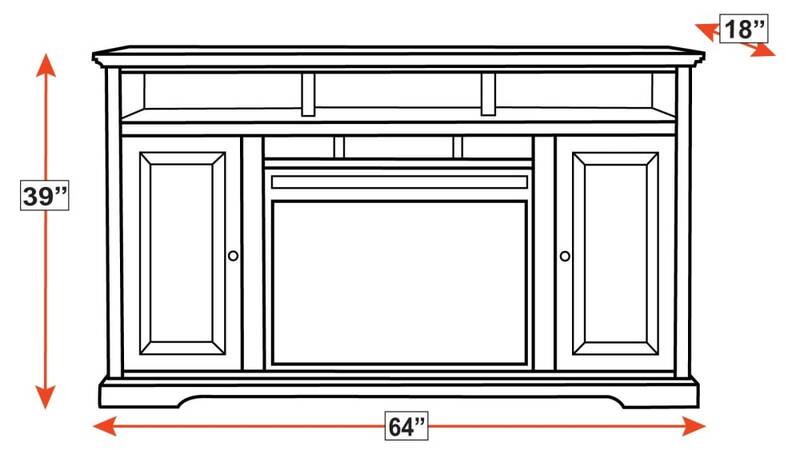 A rich brown finish enhances the classic styling of this TV console.